It’s a story of sibling synergy and pint-sized philanthropy. 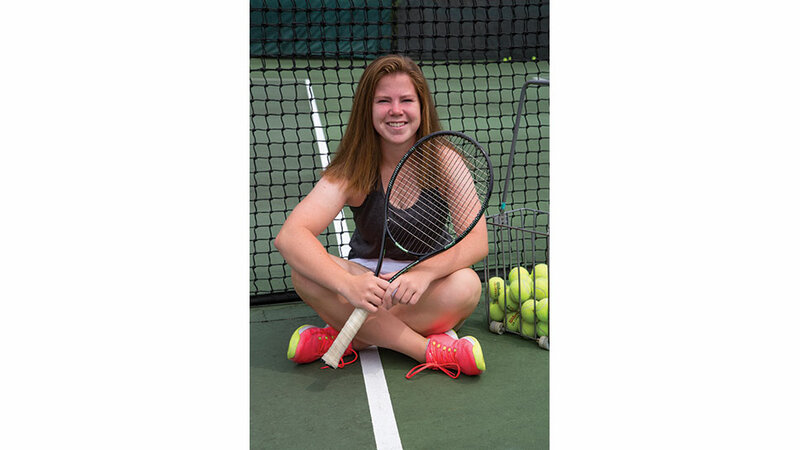 From the time she was 5 years old, Mattigan Kelly followed in her brother Crofton’s footsteps as an avid tennis player, and then, in charity work. When the child of a neighboring family was diagnosed with cancer, the cheering impact of the gifts that child received from The Pediatric Oncology Treasure Chest Foundation made a big impression on Crofton, who at age 8 decided he wanted to organize a fundraiser for the charity, himself. “Tom coached three of our four kids in tennis at the Hinsdale Racquet Club and acted as a mentor to both Crofton and now Mattigan with this event. His input has been invaluable,” says Alison Kelly, Mattigan’s mom. Every year, from the time Crofton was 8 until he was 18, the La Grange youngster organized the fest with Cahill’s help, raising $5,000 or more for the charity each time, for a cumulative of $54,000 over the last ten years. As she grew, Mattigan did what she could to help her brother out, stepping up to head the event herself when Crofton went to college last year, and keeping it going. This year, the event, dubbed Mattigan’s 12th Annual Tennis Fun Fest, happens on Saturday, August 12 at the Hinsdale Racquet Club. Adding a little sibling rivalry to the mix, Mattigan has set out to increase attendance and donations, “to beyond even what Crofton achieved,” she says, smiling. Thus far, she’s doing it—donations of $6,250 last year were the highest yet, maintaining the Tennis Fun Fest’s status as one of the Treasure Chest’s top donors. To get there, Mattigan opened the tennis play and games during the event to adults for the first time in 2015, and, this year, has added a silent auction www.32auctions.com/TENNISFUNFEST2017 with items such as autographed pictures donated by the Anthony Rizzo Family Foundation, a signed photo of Addison Russell from Cubs Cares, and autographed Toews and Kane Jerseys from the Chicago Blackhawks. Through doing this work, Mattigan has also had the opportunity to visit the Med Star Georgetown University Hospital in Washington, D.C. where they set up a “Crofton’s Tennis Fun Fest” Treasure Chest. For more information about Mattigan’s 12th Annual Tennis Fun Fest at the Hinsdale Racquet Club, call 708-319-5335.